11 June 2010 marks the 100th birthday of Jacques-Yves Cousteau. No other individual in the 20th century has promoted and influenced research of the world’s oceans as significantly as this legendary personality. 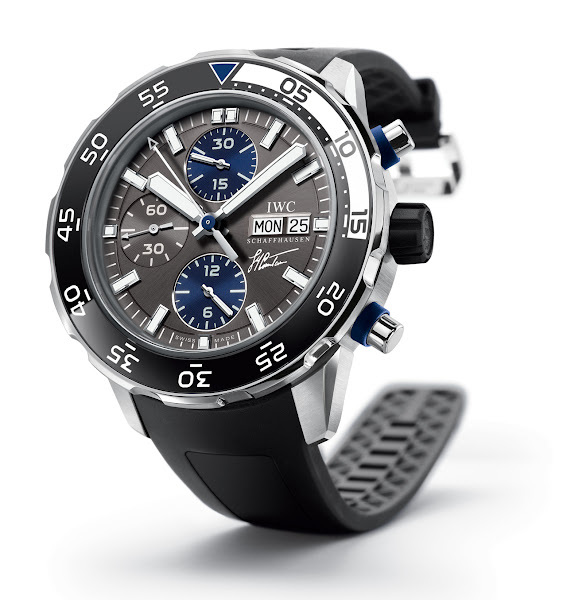 Swiss watchmaker IWC Schaffhausen, partner and sponsor of the Cousteau Society for many years, is proud to dedicate a fifth special edition to “Le Commandant” on this historic anniversary: the Aquatimer Chronograph Edition Jacques-Yves Cousteau. 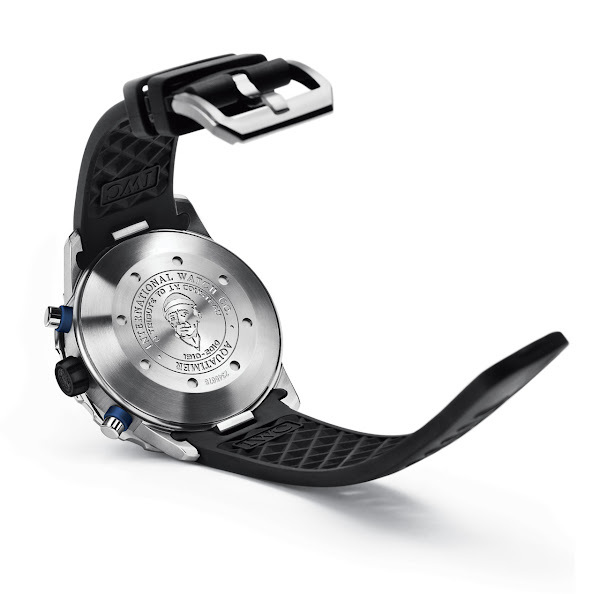 Diver’s watch in stainless-steel case with external rotating bezel, mechanical chronograph movement, day and date display, small hacking seconds and bracelet quick-change system**, engraving of portrait of Jacques-Yves Cousteau on the case back. * IWC Schaffhausen is not the owner of the Trademark Super-LumiNova®.